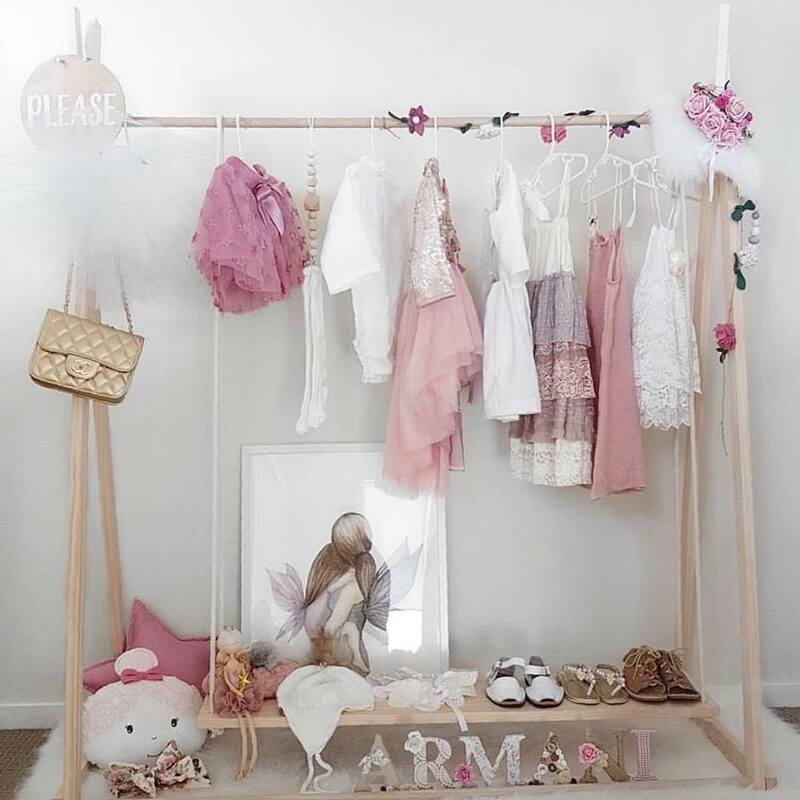 Our My Little Giggles Kids Wooden Clothes Rack are great addition to your little ones bedroom or playroom or an amazing prop for a special photo session or the perfect market display. Made from premium pine timber and non toxic paint. These clothes racks are flat packed and easily assembled and disassemble for transport or storage – No tools required. If you have any custom requests with size or colour of wood please send us a message.